Pay a visit to Orkney's Tomb of the Eagles and you might be lucky enough to have a very special tour guide for your trip to the Neolithic site. 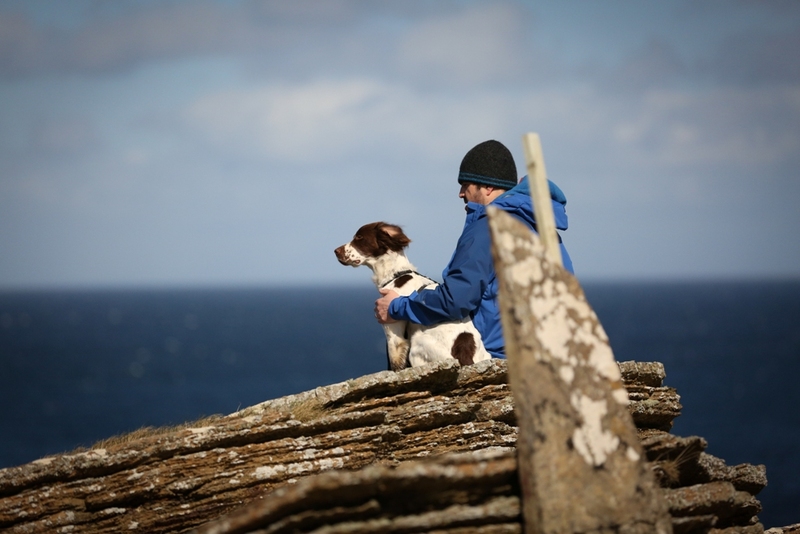 As tour guides go, Orkney’s Tate Norquay is unique. Only three-years-old, he’s got several seasons of energetically shepherding randomly selected visitors to South Ronaldsay’s famous Tomb of the Eagles under his collar, though he never speaks to any of them. 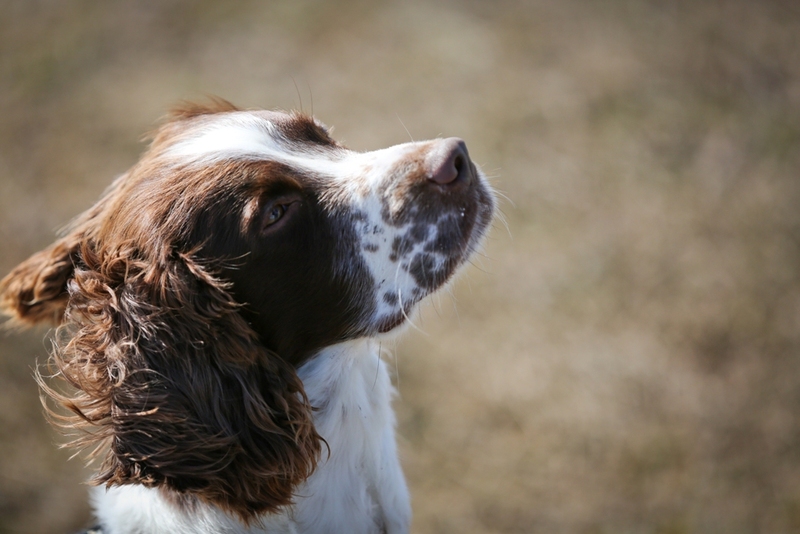 Tate is also partial to the odd bone-shaped treat, and he enjoys chasing rabbits – a habit that occasionally sees him completely desert his charges en-route to the cliff-top Neolithic site. If he really likes you though, he’ll stay by your side and give you the full tour. Sound like a shaggy dog story? Far from it. 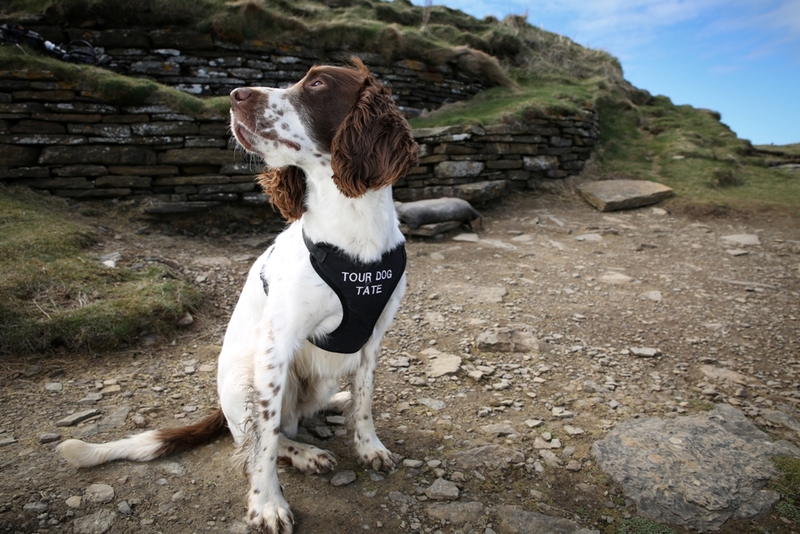 Yes, Tate’s a springer spaniel, but he does in fact ‘work’ as a canine tour guide at the Tomb of the Eagles. As jobs go, it’s a well-loved dog’s life. Tate is self-appointed and he picks his own hours and clients. While the rest of the guides at the family-run Tomb of the Eagles know the history of the 5,000 year-old site inside out - and always deliver a great experience for visitors – a tour under the supervision of Tate is very much seen as an exclusive, VIP bonus. If you’re lucky enough to be at the visitor centre on a day Tate is there – he’s not a full time fixture - he might well decide you’re a suitable candidate for his personal tour. However, you can’t request his company, nor pay extra for his services. He’s in charge, so it’s his call. 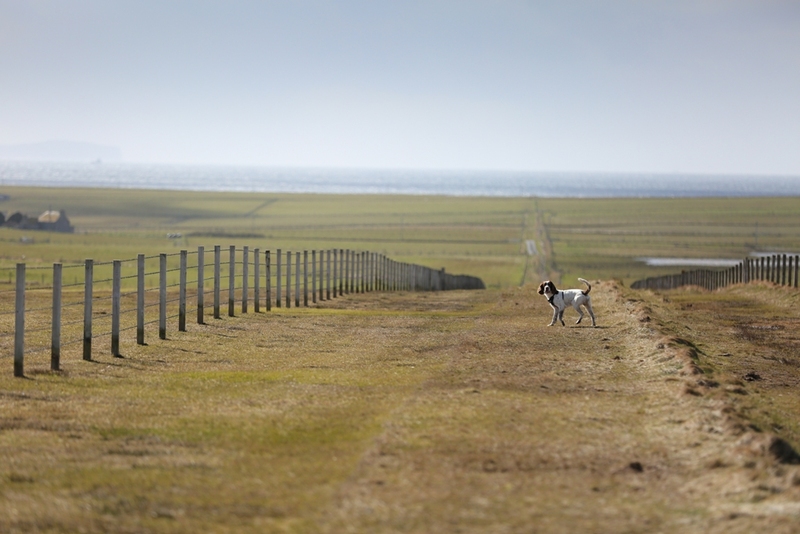 Should Tate be in the mood for running off some energy – or sniffing out the rabbit population along what is a spectacular stretch of the South Ronaldsay coast - then he’ll make sure you’ll have a tale to tell when you get home. Tate might even let you take a breather and enjoy the beautiful scenery during your visit! Granted, the route to the tomb is well signposted, but Tate clearly enjoys leading the way and will usually deliver you safely at its entrance – providing he doesn’t encounter any rabbits, of course. He’ll often stick around outside while you enter and explore the tomb, before leading you back to the visitor centre. Always energetic, Tate appears genuinely proud of his role, which is no surprise when you learn that he belongs to Ingrid Norquay, the granddaughter of the late Ronnie Simison, who discovered the tomb on his farmland in 1958. 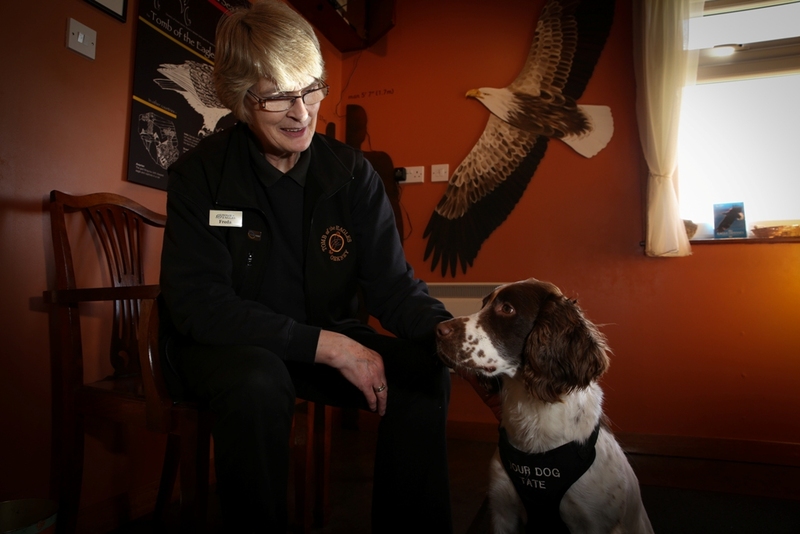 Tate stays at the visitor centre when Kirkwall based Ingrid is working, with official dog sitting duties passing to her mother, Freda. According to Freda, some visitors were initially concerned about the welfare of this apparently stray dog, which took it upon itself to accompany them to the tomb. Tate’s busy personal touring/rabbiting schedule frequently takes him away from the visitor centre for hours on end, but Freda says he always comes home, eventually. Given he’s only three-years-old, it’s perhaps understandable that Tate sometimes can’t contain his enthusiasm for his role. So, count yourself very lucky if you turn up at the Tomb of the Eagles on a day Tate is there and he decides you deserve a holiday treat. Just paws (sorry) and contemplate your good fortune. And, if he does happen to vanish for a while, consider how much more unpredictable a tour led by a cat would be. How could you resist a tour with Tate! Find out more about visiting Tomb of the Eagles via the official website.